DUE: Jan. 13. This assignment goes on this term's grade. A hard copy must be turned into your teacher. No Writer's Notebook #2 this week. 1. Remember your SSID number with three zeroes in front of it. Your password is whatever you reset it to the first time you logged onto utahcompose. I suggested that you use your Chromebook passwork. 2. After you are logged on, go to the course that says English and your period. Once you have selected your English class, go to the tab at the top of the screen labled PRACTICE. There you will find two prompts listed on the left hand side. The first prompt is The Outsiders test, the second prompt is the "Three Takeaways" assignment. You want to click on the "Three Takeaways." Next click on the button that says "Begin Writing." 3. When you are finished typing, you can click on the button at the bottom of the screen that says, "Save and Quit" or you can click on the one that says, "Submit" if you want to see your score. 4. To continue working on an essay that you have started, but not finished log in following the directions above, go to the home page and click on the date of the essay you want to work on. 5. You must "submit" in order for me to grade your assignment, otherwise, I do not have access to it. You should be finished typing your essay at the end of class tomorrow. Finish typing Three Takeaways in www.utahcompose.com. 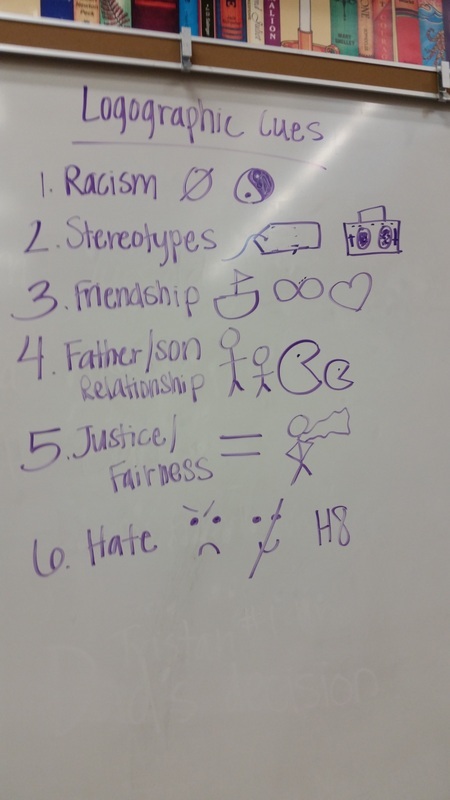 Prompt: Describe a time when you were treated unfairly by an adult. When are adults wise? When are kids wise? WN #3 Two pages are due on Friday, Feb. 6. 1. Pick one word and write as much as you can about that topic in one minute. Count your words and write the number in the margin. 2. Pick a different word from the list above and write for two minutes about that word. Count your words and write the number in the margin. Calendar - you will be responsible to keep up on all your reading homework even if you are absent. Pop quizzes will be given periodically so it is important that you follow the calendar and stay current on your reading. Annotations - each row is assigned a theme to annotate for, make sure you are considering characters, setting, plot, dialogue, and conflict as you annotate. How will Hiram and Emmett meet? What will happen between Hiram and his father? Do you think Hiram will stand up against racism? Why? Write your feelings about taking tests. What benefit do tests have? 1. Watch "ABCDE's of Reading Prompts" PPT and fill out the worksheet. 2. Go to the SAGE Training website and learn how to use all the tools available to you. Quiz on Thursday Chapters 3 -5. 2. Watch video clips from "Choosing to Participate"
How has Hiram changed in chapters 9-10? Do you think he is still acting like a bystander or not? Give a specific example of his behavior to back up your opinion.